Welcome to Growing in Unity Wednesday! This week Jen is up sharing her Unity creations! 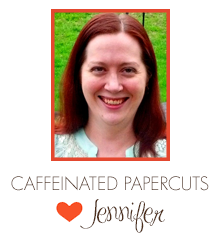 "Hi there, I'm Jen, head paper-cutter and coffee-drinker over at Caffeinated Papercuts. I started crafting about 7 years ago when I designed my own wedding invitations and I've never slowed down! I love creating cards, scrapbook pages, home decor...ok, really anything to justify buying more paper. And stamps. And inks. And sequins. And...well, you get the idea. Between my day job and chasing the cats, chickens, husband, and my son around I don't have a lot of time to go to seminars or take classes, so I often find myself on blogs I love and surfing YouTube watching other people create. It's through doing this I've taught myself how to use my Spectrum Noir markers, Distress Inks, and now I'm working on watercolors. I love learning new techniques and discovering new (or old) ways to use my supplies. I might have a slight addiction to stamps, with Unity being the best (or is that worst?). Let's just say in my crafting group they refer to Unity Stamps as "you know, those stamps that Jen has all of". Ok, I don't (yet) but they are one of my favorites for sure! Thankfully, I know many people who feel the same way, including my new friends over at Mountain Plains Crafters. I was lucky enough to be chosen for their new Design Team, and since Unity is a sponsor, it's just one more reason to get more stamps!" 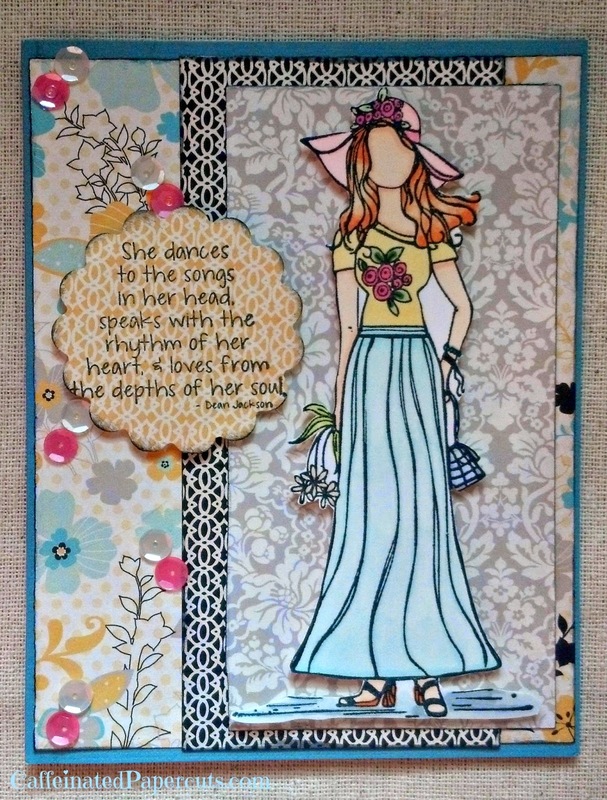 Be sure to visit Jen each day on her blog for a chance to win 2 itty bitty's!